Winner! Congratulations Cory Rakowski. You've won this gorgeous book. Think you know all about French food? Think again. 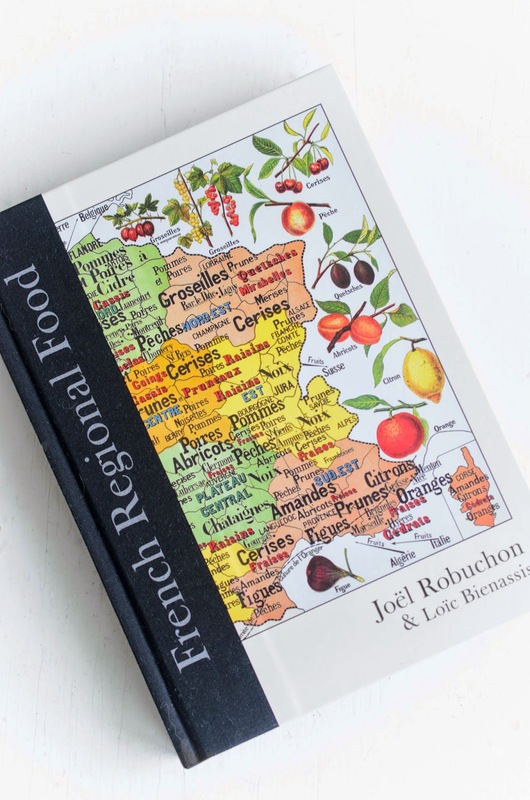 This gorgeous, heirloom style book by 'Chef of the Century' Michelin starred chef Joel Robuchon and French historian Loic Bienassis will redefine your knowledge of French food. Based around twenty seven French regions, this book is a comprehensive collection of recipes and intricate details about regional food. The photography is atmospheric, and the illustrations are gorgeous. 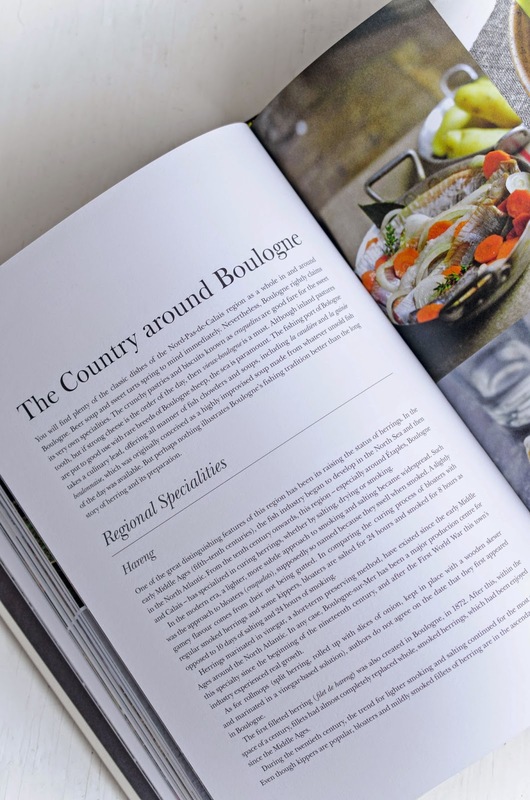 The recipes are beautifully authentic and traditional, well tested and written, and will introduce you to the intricacies of French regional food in a way that is not overwhelming. If you love French food, or if you know someone who does, this book is for you and them. It's the perfect Christmas present for the gourmand in your family. And to give you a head start on your Christmas shopping, I have a copy to give away. Just read the details below and enter for a chance to win this beautiful book. The giveaway is for one copy of French Regional Food by Loic Bienassis and Joel Robuchon and is open to residents of the United States, United Kingdom and Canada (except Quebec) only. To enter the giveaway please leave a comment on the post telling me what your favorite French dish is, or which French dish you would most like to cook or eat. I'll add the tweets to my spreadsheet when picking a winner. Please make sure that I have a contact email, which I will use to notify the winner. If I can't find an email, I will pick another winner. The giveaway ends on Sunday, November 30 at 5 PM MST, and the winner will be notified. Come back on Thursday, November 27th, for my next fabulous giveaway. Disclosure: I was provided a copy of the book to giveaway by the publisher. All opinions are my own. This book looks beautiful! I think I have to say that my fave french food is duck confit. so delicious! Love French food!! I always order duck confit whenever I can, and I'm glad to see that the ladies commented before me shared the same sentiment! I'd have to say cassoulet is my all time favorite. I think Coq au Vin is my favourite to cook so far, but I want to try more! Tartiflette would be my frend dish! Coq au vin is my favourite French dish. I have the best recipe passed on to me by my Nana! The book looks like a treasure for French dishes. My favourite French Breakfast (?? :)) dish is Oeufs en Meurette! I love the luxurious classics, but it's the regional specialties that really intrigue me. Recently, I discovered Storzapretis, a Corsican gnocchi-like dish, and treats like Gâteau Basque now make regular appearances at my table. My favourite dish is tarte tatin and I would love to have this book. I love making confit de canard! And I most want to learn to make some delicious cheese and chocolate gf soufflé !!!!!! While I do enjoy Savory French food, I think where the cuisine excels is in its Pattiserrie : Macaroons, Eclairs, Croissants stuffed with chocolate, tarte tartine's, croquembouches. Oh Lord, I can go on for hours. Sigh! Drool! I would like to learn to make crepes suzette. I loooooove duck confit. If it's ever on a menu, I will always order it! My favorite french dish is coq au vin. So good to eat, and I love cooking it. Fresh bread with butter and apricot jam. The whole time I was in school in France that's what they fed us for breakfast. Delicious! Add the early morning walk to the boulangerie across the Norman beach and you pretty much have heaven. But one of these days, I need to finally cook Coq au Vin. Does creme anglais count? Bahaha. Duck Confit is a favourite! We so love cooking and eating French dishes and sweet. I've only really cooked Julia Child's boeuf bourguignon (http://cynfulkitchen.ca/2012/04/22/boeuf-bourguignon/) and ratatouille. Would love to expand my French cooking repertoire! One of my favorites is a very simple bouillabaisse (I hope that's how you spell it). Chicken cordon bleu is one of my fave French dishes. Thanks!